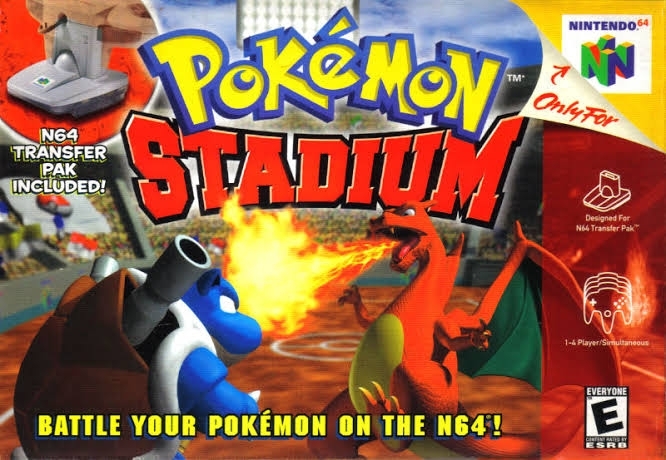 Краткое описание: The ultimate Pokémon battle is about to begin... At long last, all of your favorite Pokémon are ready to go head-to-head on the N64! Whether you're battling a friend, a Gym Leader or a tournament contestant, you're about to witness some of the most spectacular battle scenes in Pokémon history! Select a team from a huge stable of "rental" battlers, or use the included N64 Transfer Pak to upload your own team of Pokémon Red, Blue or Yellow! This Stadium is packed and ready to rock! 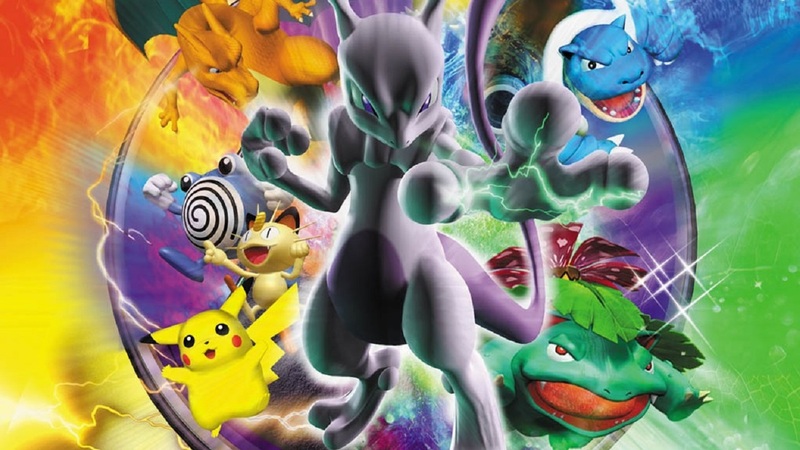 • Awesome 3-D animation on the N64 makes all 151 Pokémon larger than life! 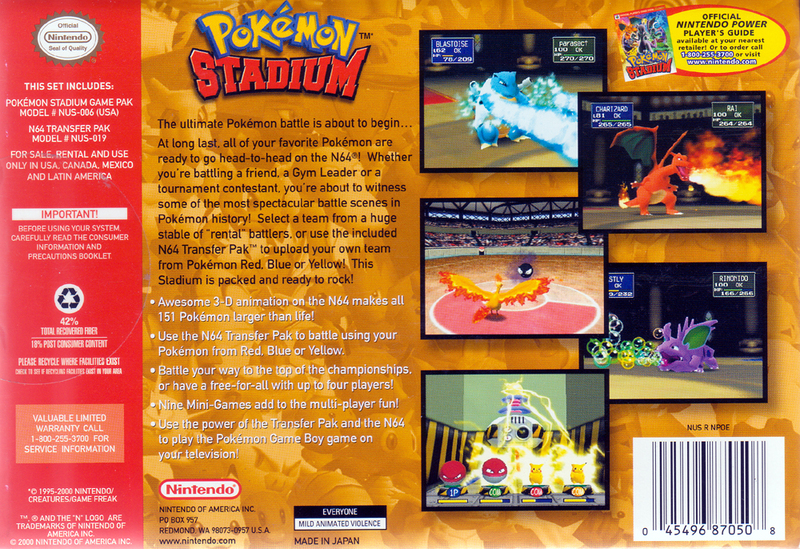 • Use the N64 Transfer Pak to battle using your Pokémon from Red, Blue or Yellow. • Battle your way to the top of the championships, or have a free-for-all with up to four players! • Nine Mini-Games add to the multi-player fun! • Use the power of the Transfer Pak and the N64 to play the Pokémon Game Boy game on your television! 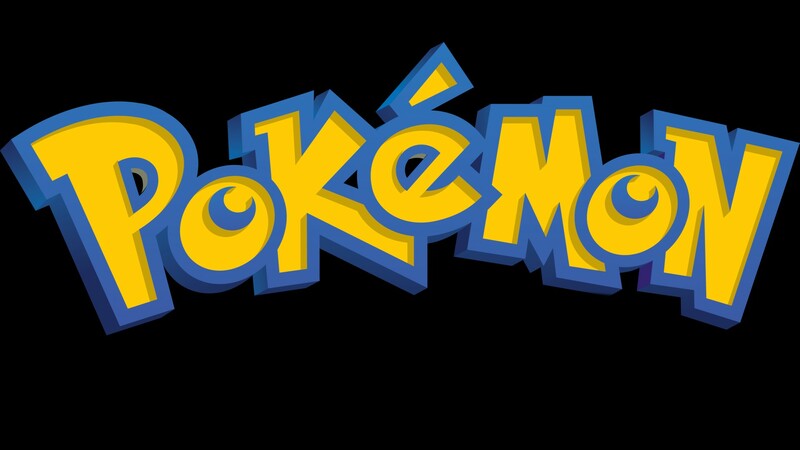 The ultimate Pokémon battle is about to begin... At long last, all of your favorite Pokémon are ready to go head-to-head on the N64! 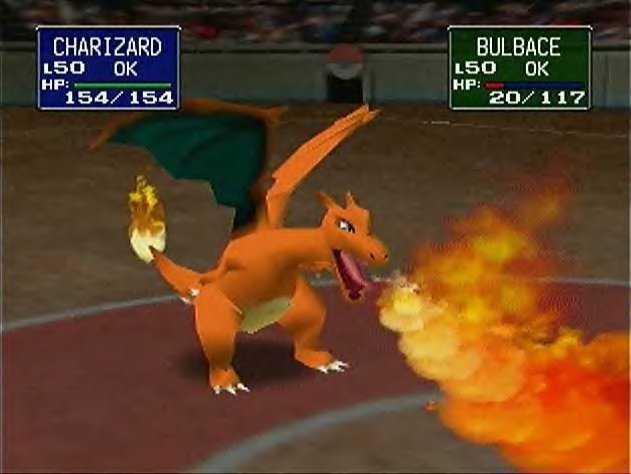 Whether you're battling a friend, a Gym Leader or a tournament contestant, you're about to witness some of the most spectacular battle scenes in Pokémon history! Select a team from a huge stable of "rental" battlers, or use the included N64 Transfer Pak to upload your own team of Pokémon Red, Blue or Yellow! This Stadium is packed and ready to rock! • Use the power of the Transfer Pak and the N64 to play the Pokémon Game Boy game on your television!